Since 2013 (and in conjunction with Yad Vashem), the Holocaust Centre of New Zealand has sent between 25-30 New Zealand high school teachers every two years to attend an intensive 3-week study seminar at Yad Vashem in Jerusalem. 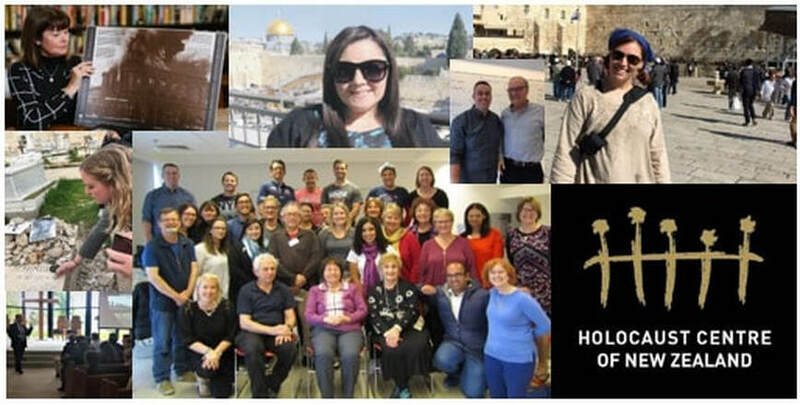 Many seminar attendees consider it to be a “life-changing experience” to visit Jerusalem, meet with Holocaust survivors, and bring into their classroom lessons learnt from experts in the field of Holocaust education. Our Yad Vashem Teachers Seminar is generously supported by donations from various sponsors, including the Raye Freedman Trust, Claims Conference, Auckland Private Educational Charitable Trust, Astor Foundation, Israeli Embassy, John Barnett, David Zwartz, Frank Pearson, Kerry & Jacqui Knight, Claire & Peter Bruell.